Pennsylvania’s House on Wednesday narrowly approved a controversial budget resolution calling for the inclusion of revenue from state-authorized gambling as part of its budget-balancing requirements, though the minor victory is unlikely to change the short-term fate of online-gambling regulatory legislation in the state. This latest budget measure was rammed through by a Republican majority on a narrow 103-91 vote. All 76 of Pennsylvania’s House democrats opposed the measure, as did 15 mostly moderate Republicans who refused to sign on to the bill’s hardline platform. 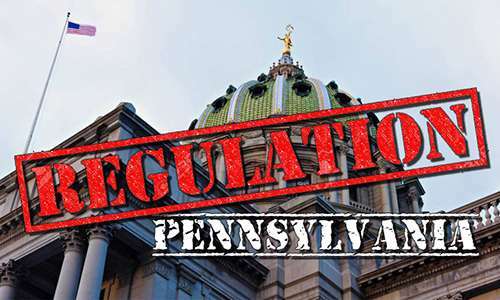 Still, the passage of some form of budget measure was forced due to legislative deadlines, though the state’s Senate must now undertake a similar budget battle, and the entire budget, once approved, faces a possible veto from Pennsylvania’s governor, Tom Wolf. Wolf is against much of the budget in the House’s finalized form, which contains several elements unpopular with a majority of the state’s population. Pennsylvania’s legislative has approved budgets calling for generalized revenue from state-authorized online gambling on earlier occasions. However, the state’s politicians have never been able to agree on the exact framework that such regulatory approval would cover. Previous efforts have seen the concept approved in general terms, similar to yesterday’s vote, only to fall short of final approval due to battling between various pro-gambling factions. In addition to the online-gambling proposals (which in the past have been offered both in all-casino-games and poker-only forms), the proposals have also faced headwinds from competing gambling-expansion proposals such as airport-based slots and video gaming terminals (VGTs) in the state’s taverns and bars. 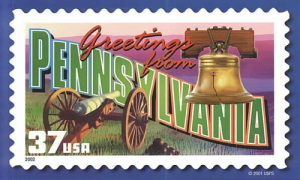 The VGT-favoring faction has played an important role in the ultimate failure of Pennsylvania’s prior online-gambling measures. Since yesterday’s budget approved contained no gambling specifics, that battle will surely be renewed in the near future, in at least a token effort to find the $225 million called for in revenue from online gambling as part of this bill. That represents barely a tenth of the $2.2 billion budget deficit that theoretically has the state government’s operations on the verge of shutdown. As it is, and despite the deadline pressure, the Pennsylvania’s House budget approval faces its own uphill fight. The passed bill, H 453, is a “no new taxes” mandate forced through by the House GOP in the face of a possible state-government spending freeze set to go into effect tomorrow (Friday, September 15th). However, the pledge was accomplished only by pilfering significant funds from dormant budget sources, part of the “rob Peter to pay Paul approach” that has Gov. Wolf outspoken in his opposition. The bill also includes several poison-pill mandates that are likely going to cause opposition at either the Senate or gubernatorial stops ahead. Gov. Wolf has opposed this measure on the basis that it ignores the state’s basic budgetary problems and shortfalls in the pursuit of an idealistic goal. The Pennsylvania Senate is also likely to turn thumbs-down to the House-approved budget. That body’s GOP majority had already won both-party approval in the Senate for a far different budget framework, including a $500 million-plus tax package approved two months ago that fully funds a $32 billion spending agreement to cover the state’s total budget needs. That larger budget gridlock, unfortunately, is why the House budget passage was barely newsworthy in the online-gambling sense. It’s nice that a majority of the PA House believes that online-gambling revenue should be included, even though it’s something of an afterthought amid the larger budget struggle. The real battle over Pennsylvania’s online-gambling future remains quite a distance down the road, budget inclusion or not.